We work with reseller partners who provide IT and AV hardware into education and business sectors and niche markets. Repeat Software is a UK based company whose management have been involved in the UK audio visual display equipment industry since 1998. The company is based in Lincolnshire, England, and has been supplying Repeat Signage digital signage software since autumn 2009. Initially the company focused on the UK education market because of the considerable knowledge and contacts within this market and Repeat Signage continues to be used in schools, colleges and universities throughout the UK. Celebrating 10 years since its launch, Repeat Signage has developed, adding many new features, and is in daily use across multiple applications and vertical markets with customers in over 30 countries including Australia, Canada, Ireland, Malaysia, the Philippines, South Africa, the UK and the United States of America. Developed in-house, the team pride itself on offering an outstanding level of support, which is free of charge and is available Monday to Friday from 08.00 to 22.00 GMT and a limited time over the weekends. This means that we can effectively support US and international customers from the UK. Support also includes online training videos, online help menu, sample presentations, trial download and email technical support. We also offer a free RSS feed creation and hosting service at www.repeatserver.com which additionally allows the hosting of Repeat Signage presentations and files to facilitate easy remote updating of digital signage screens. "Thanks for all the work. Not very often do I come across a company that would be willing to spend the time on a potential customer like you have. I must admit that at first I was having second thoughts about going with a company that is in the UK, but you have definitely addressed that concern." "Support has been excellent and I have never been disappointed. Quick response times along with personal service, rates this company very high in my personal satisfaction. I have and will continue to recommend this company to others." - Information Technology Specialist at Harrisburg International Airport, United States. 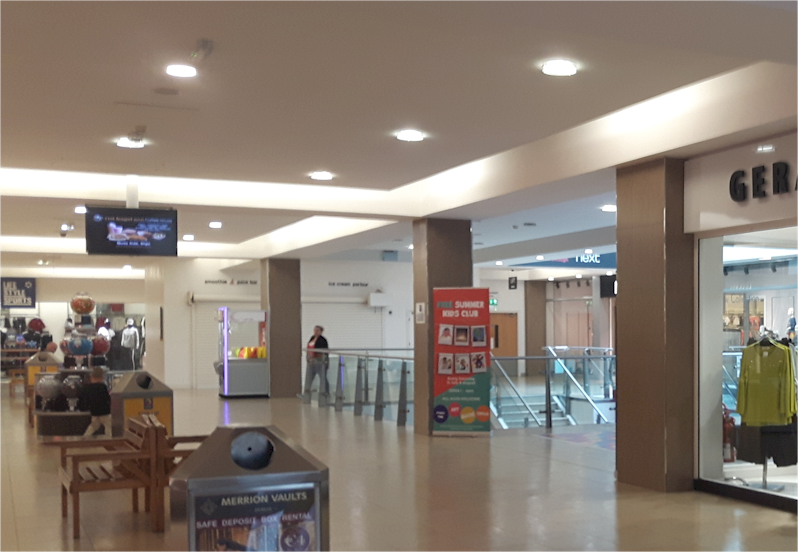 We usually think of digital signage in reception areas, airports and high street shop windows but there are a huge amount of uses for Repeat Signage. It is also used in factory production environments to display information to staff members; financial institutions, hospitals, vets, hotels, caravan parks, residential apartment complex, publishing houses, for tenpin bowling tournaments, restaurants and even utility companies. See our success stories. Repeat Signage is available as a digital download onto a Windows computer. It is easy to use and you can create a presentation in minutes. You simple insert a variety of media, such as your logo, text, images, animated gifs, video, RSS feed, real-time and date, documents, barcode or QR code, audio and web browser. Then drag and drop same to create your presentation for any size display screen either portrait or landscape. There are four editions of Repeat Signage and a free trial download is available (without leaving any details). Repeat Signage Standalone edition is non-networked. Ideal for public sector, such as the police, MOD and primary schools, as it doesn't need the internet to display on screens. Repeat Signage Standard has full features for network drive and Internet remote updating of content. Repeat Signage Corporate software is the same as Standard, plus the ability to collect and display content from a database. Repeat Signage Media Wall software allows you to create 2, 3 or 4 screen video walls from one Windows PC. Repeat Signage gives you the ability to create and update your own presentations without having to employ outside staff, and you can try it yourself without obligation. "What attracted me to Repeat Signage software was the flexibility of the different media that could be used, the ease of building a presentation package. The online tutorials help me build the basics giving a dynamic moving display, I quickly added more complex graphics." Nigel Luker, Active Electronics, UK. 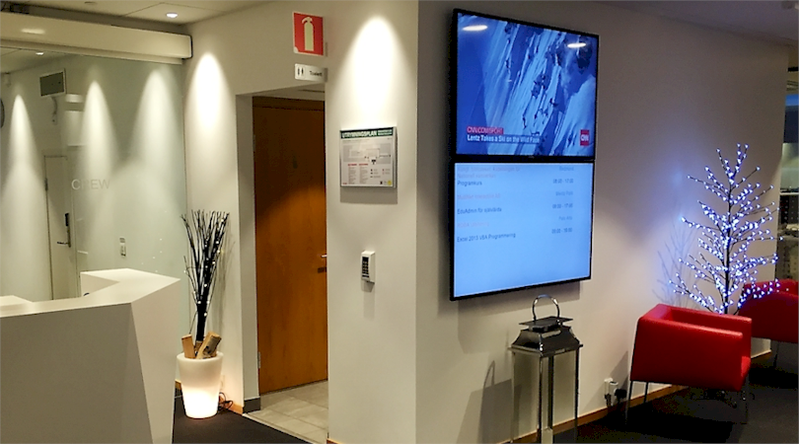 Our team at Repeat Software work with resellers and distributors in the display screen, media player, system integration, software and graphic design industries to offer their customers a digital signage solution. We are happy to work with new reseller partners and offer you an outstanding level of support, making it easy for you to partner with us. Please see our Reseller Partner program.